Philippe Coutinho once again showed a glimpse of his form from his days at Liverpool as he fired a beautiful shot into the top right corner of David de Gea‘s goal, yet his celebration was intriguing to say the least. 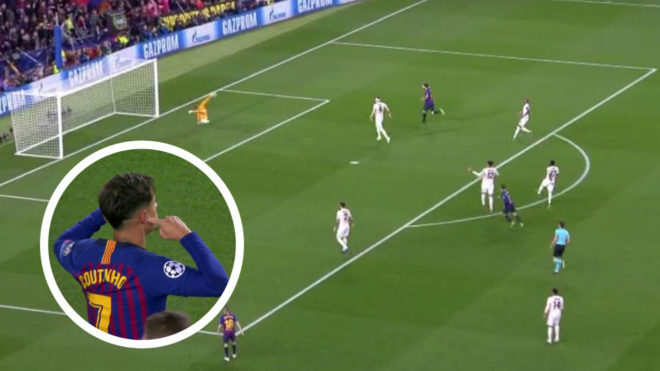 After the Brazilian made it 3-0 to Barcelona in the 61st minute, the midfielder put a finger in each ear, as if to indicate that he is not listening to the criticism he has received from the Camp Nou crowd. When Coutinho was substituted off for Ousmane Dembele in the 80th minute, he received plenty of applause, though it was arguably more vociferous for the Frenchman.